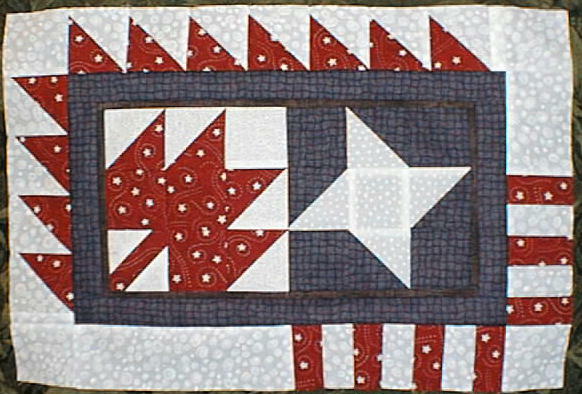 This is a small wall hanging I made in the days after the events of September 11. There was such a huge out pouring of goodwill toward our neighbours to the south, that I wanted to try and capture them together. I tried to take components from both our flags and meld them together. 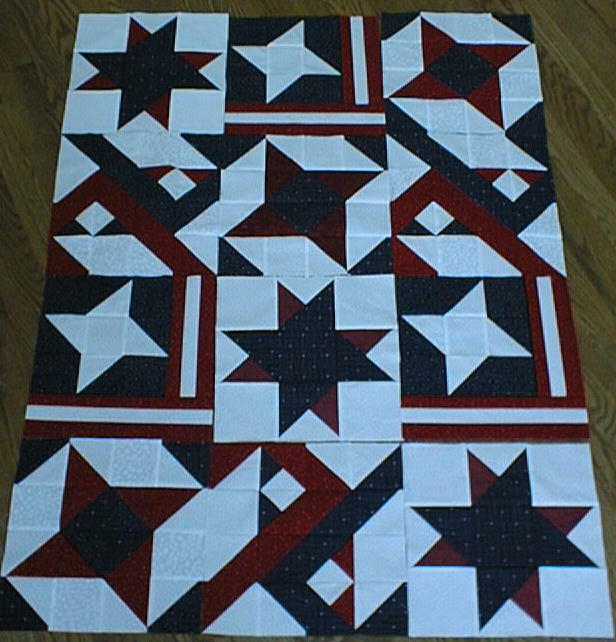 These were some of the many 12" square blocks that I sent to various groups in the United States that were making comfort Quilts. Quilt Designer Bethany Reynolds cut hundreds of stack and whack blocks and sent them out to quilters to sew and return. i didn't follow up with that project, but this is my sewn block which I returned very quickly. I love the wall hanging with the two flags combined. That wall hanging is great. 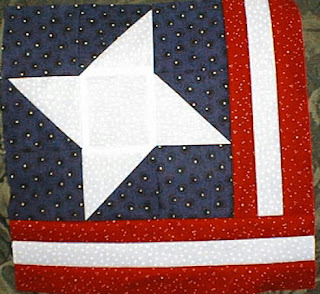 I used to not care much for patriotic themed quilts, but now I really like them. 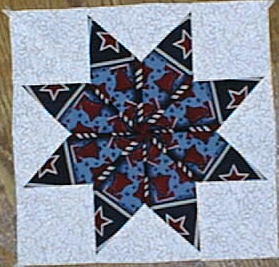 I went to the Pacific International Quilt Festival in October 2001, and there were some amazing tribute quilts that had been made incredibly fast. It was a very moving exhibition.